The Brightest Inkjet Papers on the Market! The inkjet papers listed below are the brightest inkjet we have available. These papers have excellent black density and great image sharpness making them ideal for black and white printing. 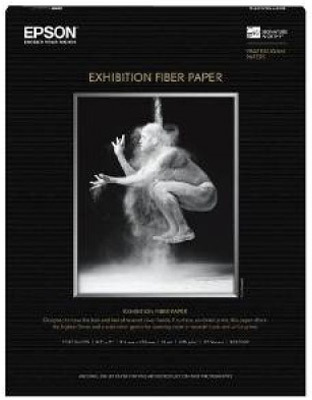 Epson Exhibition Fiber Paper is a popular photographic media that has an extremely high D-Max, providing users with amazing tonal transitions in B&W photos and the ability to print extraordinary color with the same media. Hahnemuhle Photo Rag Bright White 310gsm is a great choice for digital artists seeking a cotton fine art paper with a smooth, bright white surface. 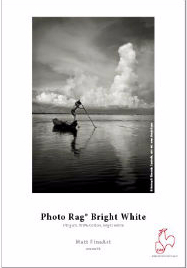 Photo Rag Bright White 310gsm contains OBA’s, which gives this paper its bright white surface. 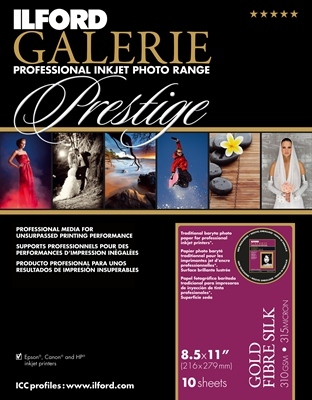 Ilford Galerie Gold Fibre Silk has a baryta (barium sulphate) coated layer under the inkjet receptive layer of the paper. This process adds a structure similar traditional baryta photographic papers from the darkroom. 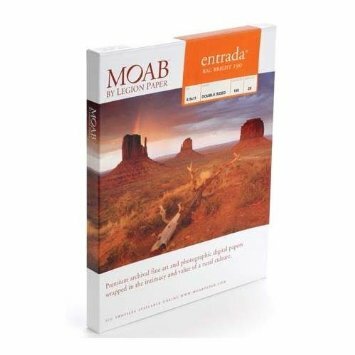 Moab Entrada Rag Bright is a heavier 300gsm weight, 100% cotton rag paper. This popular rag paper from Moab is both acid and lignin-free, making it archival in quality. Entrada Rag Bright provides a heavier, thicker and brighter surface.